The America's favorite food truck! 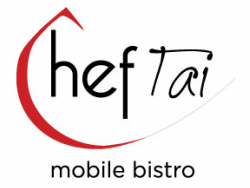 What is Chef Tai’s Mobile Bistro? It is the First officially sanctioned Food Truck in the Aggieland, the First Food Truck to be owned by an Aggie in the Aggieland, and the First Truck to be allowed inside the Texas A&M University to serve Aggies and visitors. A fun and inexpensive alternative to an upscale dinning experience for his fellow Aggies and Locals, Chef Tai’s Globally inspired menu includes: BBQ Pulled Pork Tacos, Korean Short Rib BBQ Bowl, and Brussels Tofu Florentine all priced for the budget conscious foodies. Chef Tai has developed a menu that delivers high-end food at street level prices. America's favorite food truck for a reason!